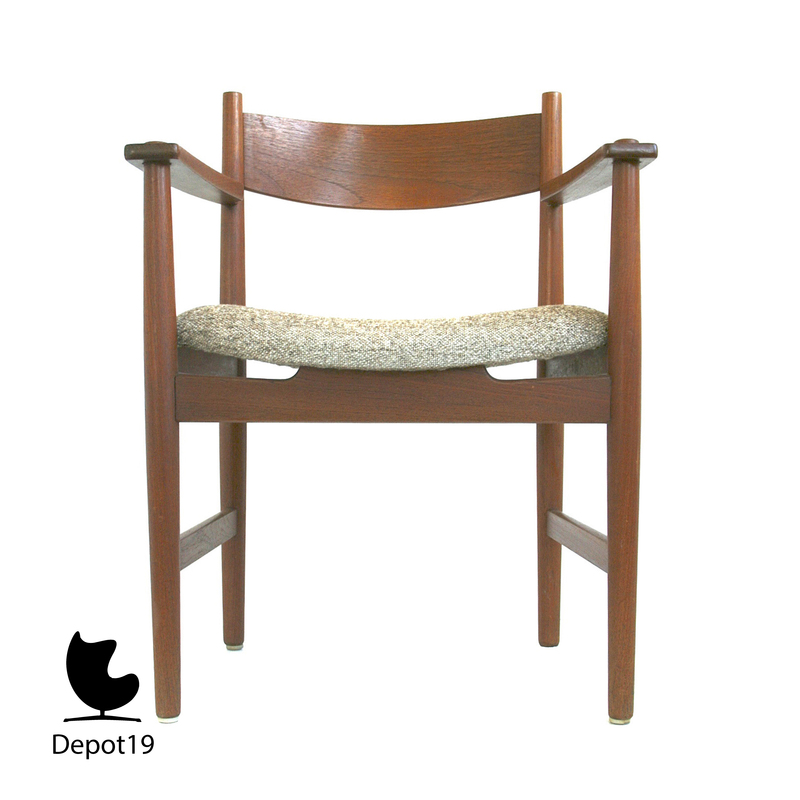 CH 39 Teak Chair, designed in 1962 by Hans wegner for Carl Hansen and Son. 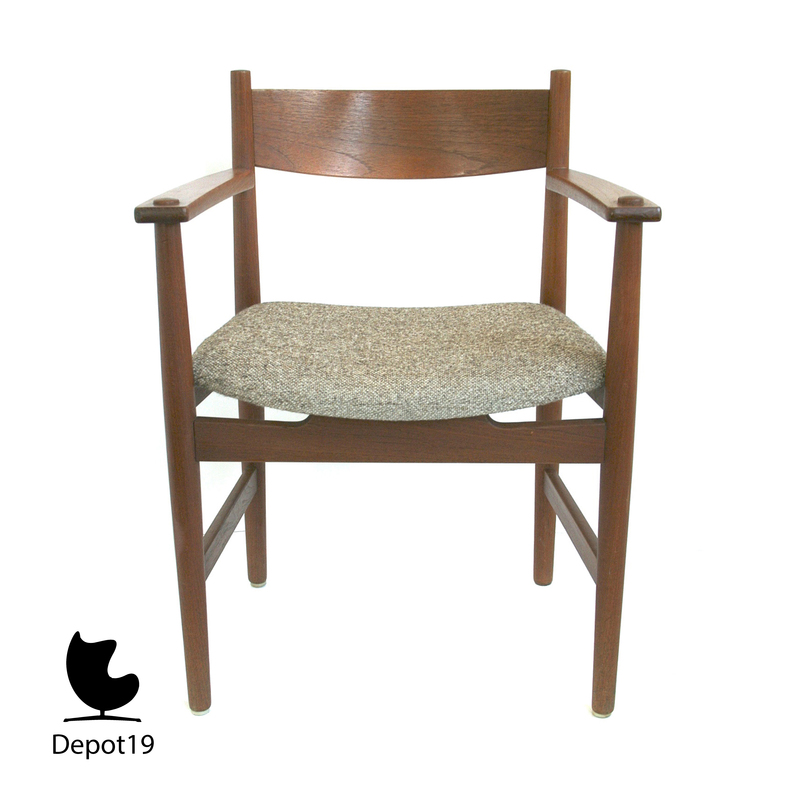 This chair was influenced by shaker design. 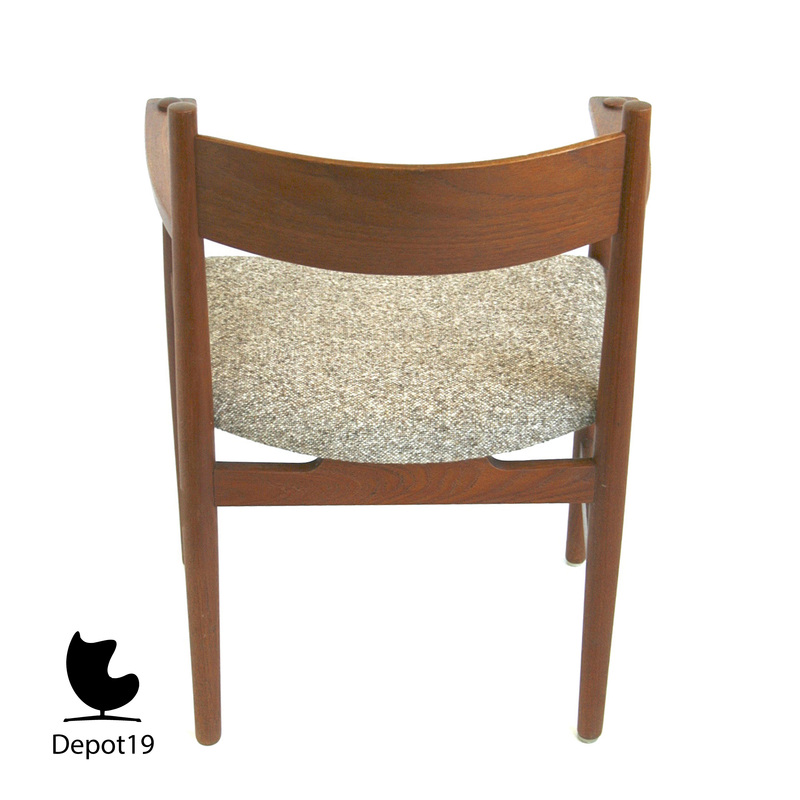 A nice crafted chair. 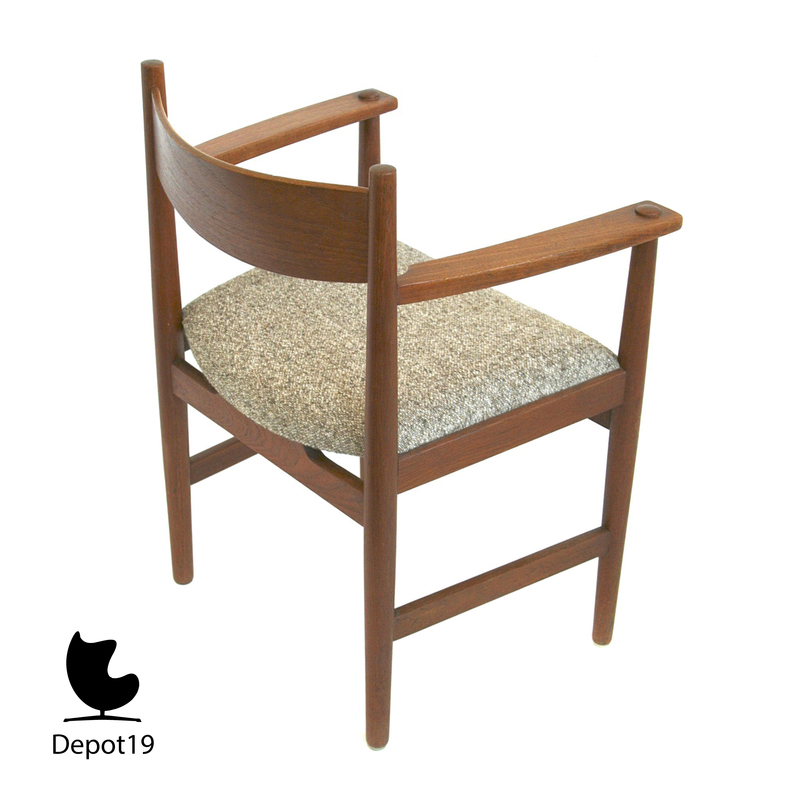 These chairs are still in production by Carl Hansen, but our teak version is only available as vintage model. 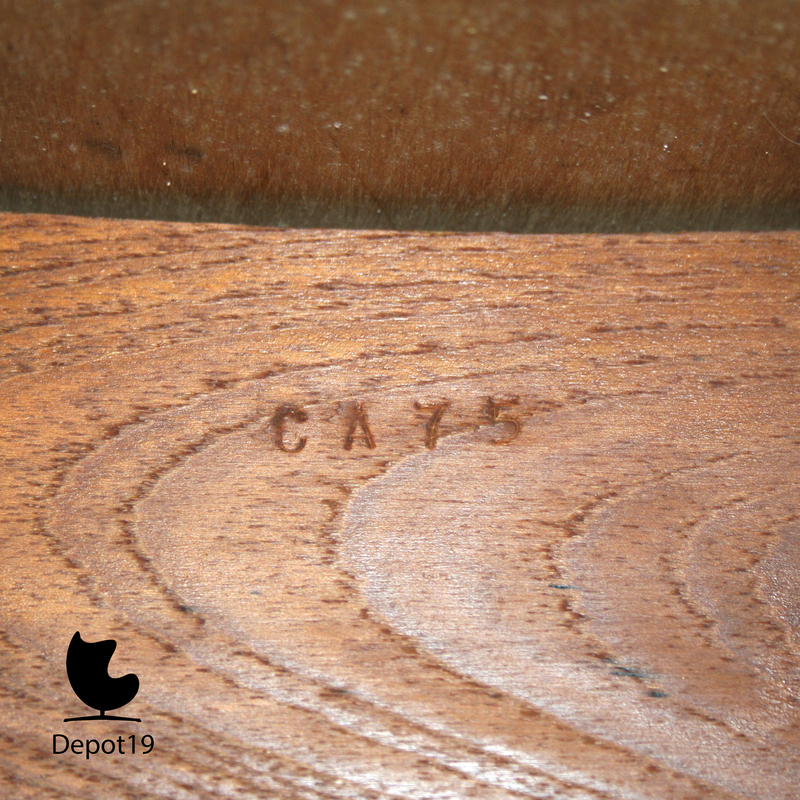 The chair is marked CA75. 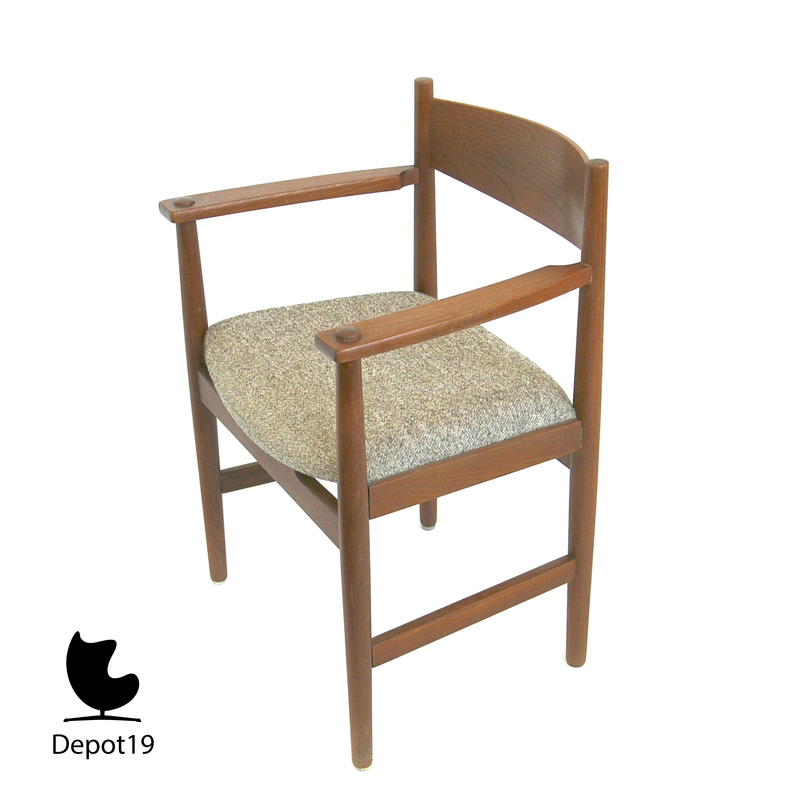 Arm height 65cm.